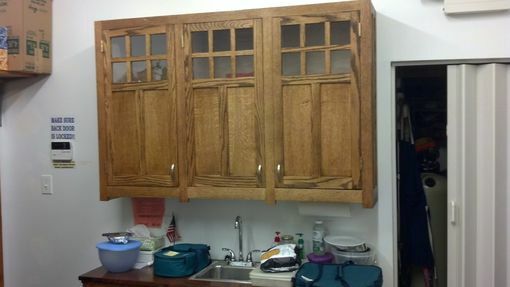 Custom Cabinets To Fit An Odd Space. Client needed a custom cabinet to fit a small space. After talking we decided on a size and I designed the cabinet and got approval. It is Oak with a walnut countertop. 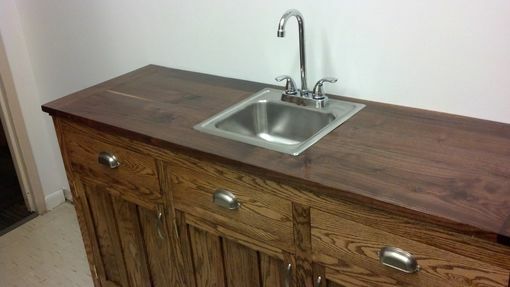 The sink is a bar sink that would fit nicely. 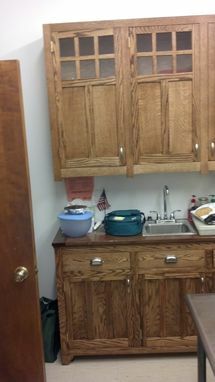 The upper cabinets were done later to compliment the base cabinets. 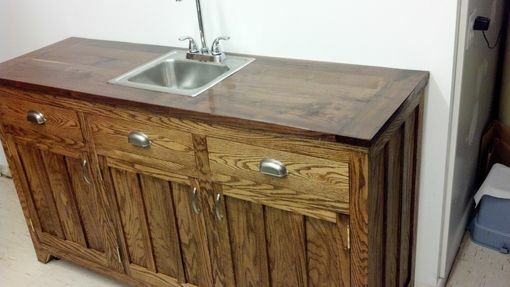 The style is flat panel mission or craftsman style.